Nice! Is that from the "ultimate figure series" piccolo? Weird, I've never seen that Piccolo bootleg before. What country did you find it in? I have been very interested in those figures for a while. About how tall was the figure xtremebluetronic ? I can't find anything about those figures online. Help cause they look really interesting! Woah thanks! I really want that Krillin! I don't think Mercado Livre accepts Paypal, so unless a member of DBF also lives in South America, I don't think they can buy anything. Mercado Livre used to only accept payments from South American bank accounts. I'm not sure if that is still true. Do you own any of those other figures xtreme? Could you post pictures of Beerus, Whis, Vegeta in saiyan saga armor, and others next to your Figuarts Gohan? You could probably make some money selling Brazilian figures to DBF members xtreme. You have a lot of figures available to you that we don't in the US! Are the figures loose? Cause I'm gonna try to find them. Seriously dude, you buy and sell those figures on DBF. 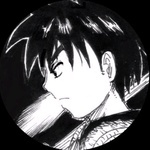 Cool Tien. Not bad for a first. Welcome to DBF. 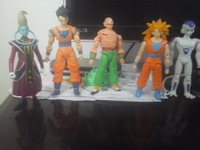 Hey Guys, sorry for the lack of inactivity,few days ago i ordered some bootleg figures for some customs,but i have a question for you all,should I make another head for my tien figure? Yeah! 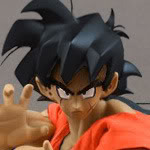 How about the Sceaming one from Figuarts Tien? which DragonBall Z/Super you guys would like me to have a custom of?